Shipping fees are calculated based on weight and distance: our shipping fee calculator is linked to the FedEx web site which provides quotes in real time from our Zip code (27703) to your Zip code, depending on the total weight of the items placed in your shipping cart. We do not add a handling fee or profit in anyway from shipping fees. 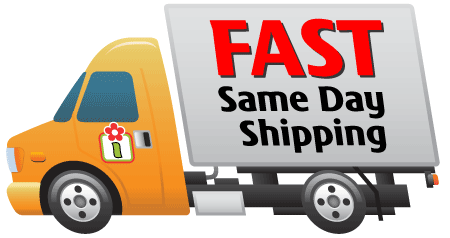 We ship with FedEx Home/Ground and recommend choosing this as your most economical option. 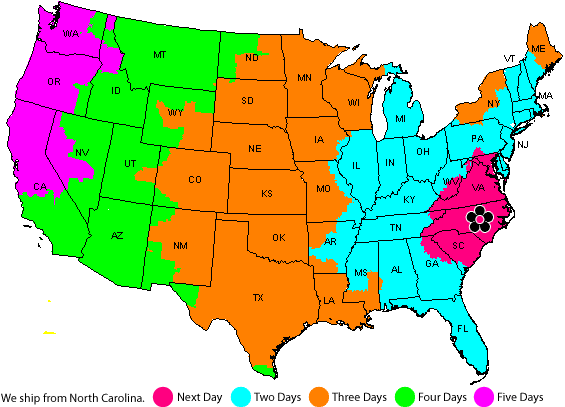 Most deliveries on the east coast arrive the next or second day, 3-5 days is normal for delieveries the further west you are. When it comes to low-weight shipping for residential customers, consider the efficient, economical FedEx SmartPost service. By utilizing the U.S. 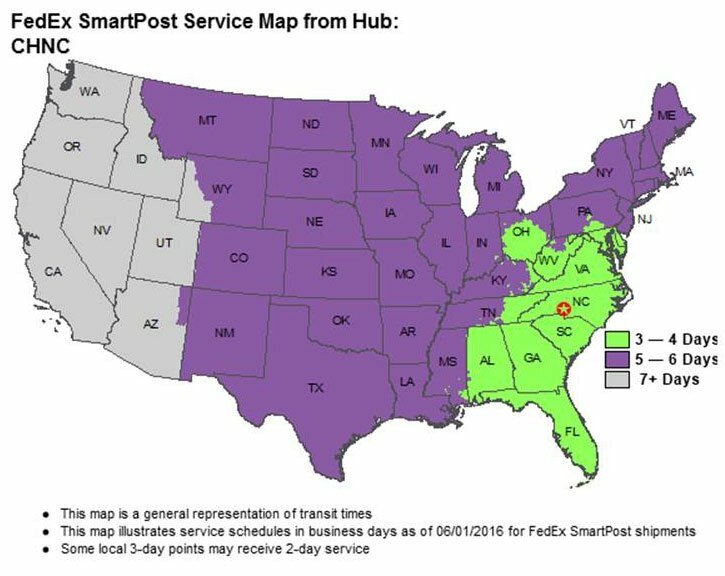 Postal Service® for final delivery, FedEx SmartPost reaches every U.S. address. Delivery time is longer than FedEx Ground in most cases. Is shopping at imustgarden.com secure? For your convenience we offer both Credit Card, Paypal, and Amazon transactions. At some point we may offer other types, please check for changes. No matter which way you decide to go, it is always simple and under strict secure transactions protocol! If you'd like to use another payment method, please contact us. For your convenience we offer both Credit Card and Paypal transactions. No matter which way you decide to go, it is always simple and under strict secure transactions protocol! If you'd like to use another payment method, please contact us. Your order will arrive approximately 1-7 business days from receipt by us, depending upon your geographical location and your carrier/service choice. Generally, the most economical choice is FedEx Ground. Orders received by us prior to 4:00 pm Eastern Standard Time, Monday through Friday (excluding holidays), will be shipped that same day. If a product is out-of-stock, you will be notified. Some products may ship from manufacturer and have different shipping dates and or methods. Some items may not qualify for free shipping and will be described in the product detail page. Your order status can be checked by logging in to your account. Additionally, an automated email notification will be sent to inform you about your order's status. To make changes to an order, please contact us for assistance. We are confident you'll be extremely happy with everything you purchased at imustgarden.com. If you are not completely satisfied, you may return the item within 30 days of purchase. Please contact us for a Return Approval Number. We will issue a refund for the purchase price (less shipping) promptly after receipt of the returned merchandise. Do we ship to Canada and countries outside the United States? If you have used our products and have a suggestion or comment please contact us, we want to know your opinion.